If your grandma informs you when it will rain based on how bad she’s hurting, she is not alone in the least! People with arthritis commonly report increased pain during cold and rainy weather. In fact, many would tell you when it’s going to rain without looking at the weather forecast. 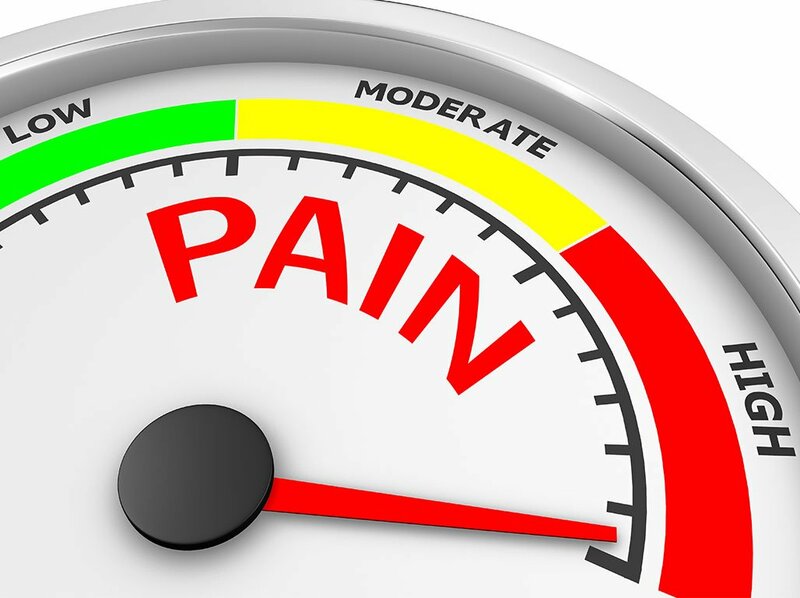 Even scientific studies have verified this phenomenon, concluding that specific weather patterns do indeed cause increased pain in participating subjects. One study evaluated 200 participants with knee osteoarthritis 1Changes in Barometric Pressure and Ambient Temperature Influence Osteoarthritis Pain by Tim McAlindon, MD, MPH, Margaret Formica, MSPH, Christopher H. Schmid, PhD, Jeremiah Fletcher, BS | Divisions of Rheumatology and Clinical Care Research, Tufts-New England Medical Center, Boston, Mass. | http://www.amjmed.com/article/S0002-9343(06)01026-6/pdf and found that changes in barometric pressure and drops in temperature are both associated with more pain. Another study associated changes in weather conditions to increased migraine headaches 2The Effect of Weather on Headache by Patricia B. Prince MD, Alan M. Rapoport MD, Fred D. Sheftell MD, Stewart J. Tepper MD, Marcelo E. Bigal MD, PhD | First published: 04 June 2004 | https://doi.org/10.1111/j.1526-4610.2004.446008.x. Pain associated with changes in weather often occurs at the point of the breakdown like a broken bone or a joint with an existing injury. Those who live with persistent inflammation due to conditions like arthritis most notably have this experience. It is said that changes in air pressure are sensed by the body causing soft tissue to swell and fluids around the joints to expand. A few theories have been proposed to suggest the reason for this phenomenon from inflammation, nerve irritation, hormonal disturbances, and reduced activity levels during inclement weather. Whatever the reasoning may be, the bigger picture question is why only certain individuals are predisposed to this phenomenon and not others? The answer, as it turns out, lies in the experience of thousands of individuals who get treated by Advanced Biostructural Correction™ practitioners worldwide. These clients start their treatment in the predisposed condition and, several sessions later, walk out without the weather worsening their pain. A person with a compromised structure is easily seen by how well their body holds their posture. If one has to engage their muscles “to hold themselves up”, they have structural issues that need to be fixed. In such an individual, the body has to compensate heavily, and it does so by engaging other areas of the body to hold the posture. Depending on how bad their condition is, this can cause pressure on various organs, tissues, blood vessels, and even nerves. The displaced bones in the spine, a hallmark of compromised posture, take bones in distant regions out of alignment rubbing together and causing muscle and joint pain. Inflammation is the natural consequence which sets them up them for getting worse due to varying weather conditions. As their structure begins to improve, the body no longer has to compensate, and the inflammation caused due to structural factors significantly reduces within the first few sessions. The result is that there is no pain to be made worse due to cold or damp weather. Watch a client below describe how some of her pain issues went away after just three sessions. Learn more about how Advanced Biostructural Correction™ can help correct your structural injuries enabling you to feel your best! 3. ↑ Osler W. The Principles and Practice of Medicine: Designed for the Use of Practitioners and Students of Medicine by William Osler (1892). Special Edition. Birmingham: Classics of Medicine Library; 1978. Vaibhav is a certified practitioner of Meridian Stress Assessment and Advanced Biostructural Correction™. He helps clients reverse illnesses by using dietary adjustments, natural supplements, structural correction, and mindfulness meditation. He offers wellness services both at-distance and in-office by appointment.